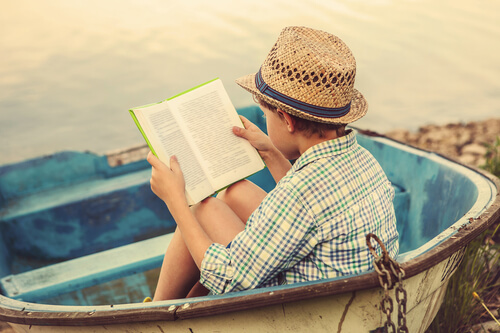 Las vacaciones estivales son un momento ideal para iniciarse, mantener o reforzar el placer por la lectura. Conste que digo placer y no obligación. Y es que las condiciones son inmejorables y las posibilidades solo están limitadas por nuestra imaginación: en la relajada hora de la siesta o antes de dormir que no hay prisa por madrugar; a la sombra de los pinos, mirando al mar o estirados en el sofá; solos, en familia o con amigos; en papel o en libro electrónico. Ayudemos a nuestros niños a elegir una lectura adecuada a su nivel y sobre todo, a sus gustos, para que sean capaces de saborear cada historia, cada aventura, como si de un fantástico helado se tratara. Y recordemos: Si nos ven leer, y disfrutar, ellos también lo harán. Estar bronceado se ha convertido en una moda en nuestra sociedad, incluso en un marcador malentendido de salud. Si bien los rayos solares en pequeñas dosis tienen un efecto beneficioso para nuestra salud (por ejemplo mediando en la síntesis de la vitamina D), el sol también produce efectos altamente perjudiciales en el organismo. La radiación ultravioleta daña nuestro ADN y ARN, originando mutaciones en los oncogenes que posteriormente tendrán un efecto directo en el desarrollo de procesos cancerígenos. Por todo ello debemos proteger la piel de estas radiaciones, en especial la de los más pequeños. La piel es un órgano en toda su extensión y guarda “memoria”. Esto quiere decir que el daño solar es acumulativo y que las personas que sumen quemaduras solares desde la infancia tendrán más posibilidades de desarrollar cáncer en la edad adulta. La clave está en la prevención. Administremos protección solar siempre a toda la familia y disfrutemos del verano con salud. A nice ice­breaking activity for the first day of school is having every student in class make a Coat of Arms. Coats of arms have been used since Roman times to represent a person, a family or a military unit. They are divided into four or six areas and contain visual elements that are associated to the personality of the owner. Therefore, making a coat of arms involves representing graphically different aspects of our personality, and then telling others about us. 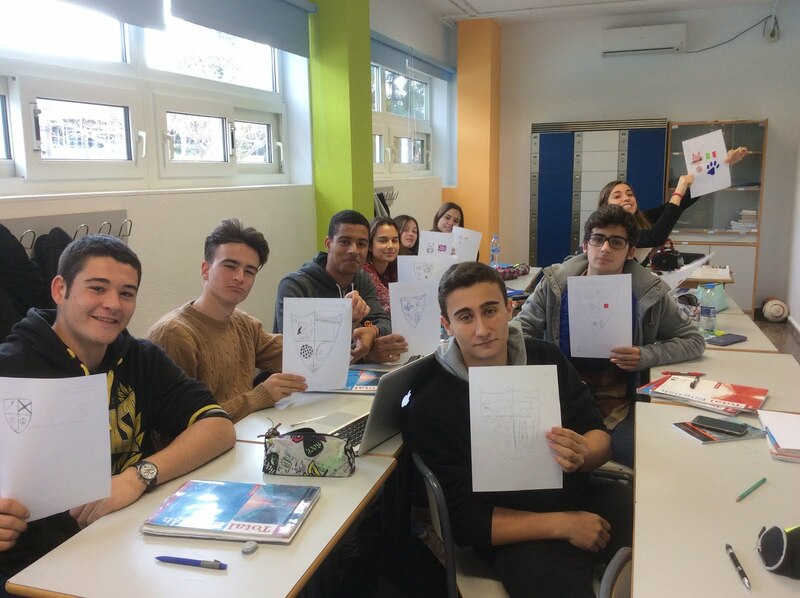 In this case, 2nd Year Bachillerato students had to divide their coats of arms into 4 sections and include: an animal that represented them, a favorite (hobby, sport, food...), a country or place where they lived or had lived, and a symbol of their role as a student. Even though our students have known each other for many years, it was a good activity to make them think about how they see themselves and how they want to present themselves to others. It was also an easy presentation activity involving every student’s favorite topic: themselves. 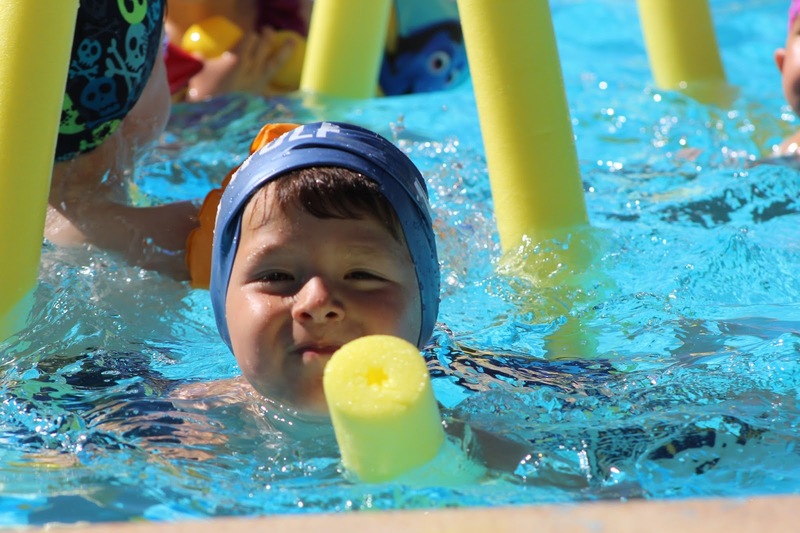 Las otitis del verano son favorecidas por el baño en piscinas y playa. Los niños tienen los conductos de los oídos más estrechos y esto favorece la retención de agua. El líquido causa maceración de la piel. La humedad acumulada y la maceración hacen que los gérmenes proliferen en los oídos, provocando las temidas y repetitivas otitis externas. Un elemento protector para los oídos es la cera, por ello es necesario respetarla. No se debe introducir bastoncillos ni ningún otro elemento para limpiarlos. Intentar que los niños propensos a otitis externas no buceen. Secar el oído por la parte externa al salir del agua. Proteger los oídos con gorros o tapones. No usar bastoncillos u otros objetos como horquillas, palillos… para limpiar o rascar el oído ya que de este modo se producen pequeñas lesiones que posteriormente se infectan. Si la persona es propensa a padecer otitis en verano, secar el conducto con un secador de aire frío a una distancia prudencial del oído al volver de la piscina o playa. En caso de que el agua quede secuestrada en el conducto auditivo externo se pueden aplicar unas gotas de alcohol boricado a saturación preparado en farmacias. Siempre es necesario asegurase con anterioridad de que el tímpano esté indemne. Our school organized an academic exchange with the SEK School in Budapest, Hungary. We arrived on Sunday night and the host families came to pick us up from the airport and take us to our houses, but even though we were really tired and hungry, we had a beautiful surprise when we saw that the families were waiting for us with beautiful posters giving us a warm welcome. The next day after listening to some presentations in which the Hungarian students explained to us a little bit of their school and country, we went to visit Budapest, it is extremely beautiful. We went to the Buda castle, to some churches from the 17th century and to exchange some money. For lunch we had a typical meal made of pasta and meat, called Pörkölt, it was delicious. We also ate a flower ice cream that was homemade and really tasty. The second day, we went to the Parliament and to St Stephen’s Basilica. The Budapest Parliament is one of the biggest in Europe and its architecture is old and beautiful. There was the crown of Mathias, one of the most significant kings of Hungary. St Stephen’s Basilica is huge and we went to the top of it, there we could see all Buda and Pest, The Danube River, The Citadel, Margaret Island, the eight bridges and a lot more. We had goulash for lunch which is like a soup. Afterwards, we went to our houses and came back to the city centre with the families where we had dinner and waited until it was 9:00 pm so we could see how the Chain Bridge was illuminated. We went to school with the sports uniform because we had to play a handball match in which we were divided into two groups of 10 people. After the break we participated in a quiz, made by one of the host students about the culture of both countries and the SEK institution. We played in pairs, one Hungarian and one Spanish, so we could help each other with the questions. Afterwards, we got a train that took us to the highest place in Budapest, Kerület. Then we started climbing although it was quite hard because it was very hot and there were lots of pebbles. We walked for 15 minutes and we arrived to a tower where we took incredible photographs of all Budapest. The way down was different because we took a ski elevator which crossed the green forest and it had incredible views. We had a free afternoon to spend with our host families, so we went to a mall where we met Adrian, Martina, Celia and their host families and we had dinner together in an Indian restaurant. 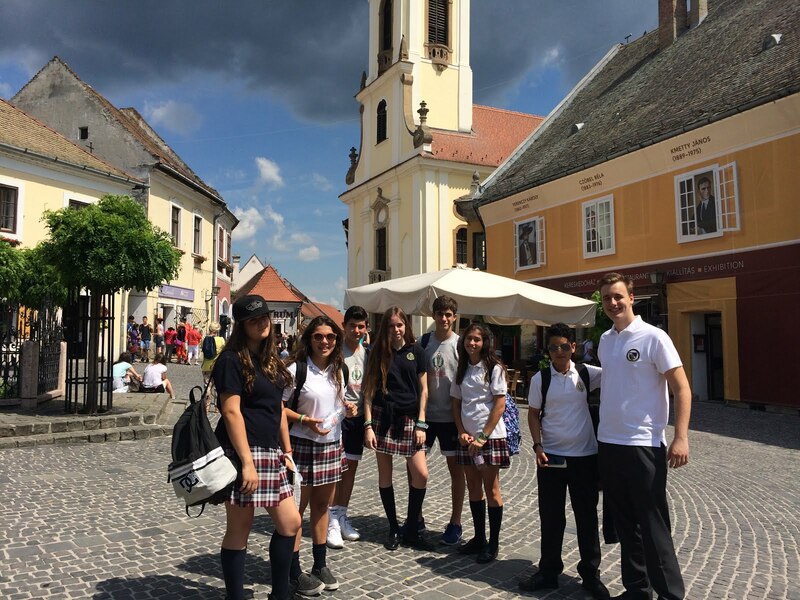 During our fourth day we went to Szentendre, a village near the Danube and full of history. 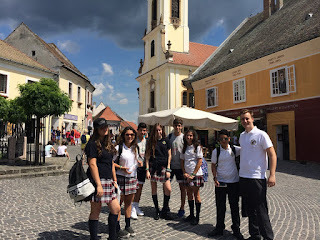 We visited all the village with our Hungarian friend Victor who knew all the historical monuments. We had lunch sat on the bank of the river and we went back to Budapest. Then, they took us to see a small island that was in Budapest but in the middle of the river. The island was very similar to Central Park. 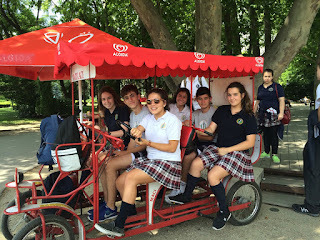 We rented some vehicles to cycle around the island and we made a competition between the Spanish, the Hungarian and the teachers. Finally, after 30 minutes of race we won. We finished the day by saying good bye to the Hungarian teachers and then we went to our houses. After a water polo match at home with David, we all went to a party in Ruben’s house. David’s mom had prepared a cake and some muffins so we had dinner and made very good friends. It was an amazing day! We had Friday off to spend with the families, so we decided to meet in the afternoon and go to ‘Aquaworld’, which is one of the biggest indoor water theme parks in Europe. It was fantastic as we could enjoy the giant water slides, wave and surf pools, it also had saunas and thermal baths, so as you can imagine it was a great day! On Saturday morning after saying goodbye to all our host families we took our plane back to Spain. Our trip was finished, and we had spent such a good time. 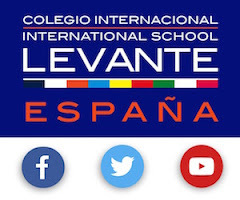 We recommend to all the students to have this experience if they have the chance.